Who says the real estate market is slowing down? That’s definitely not the case for celebrities! 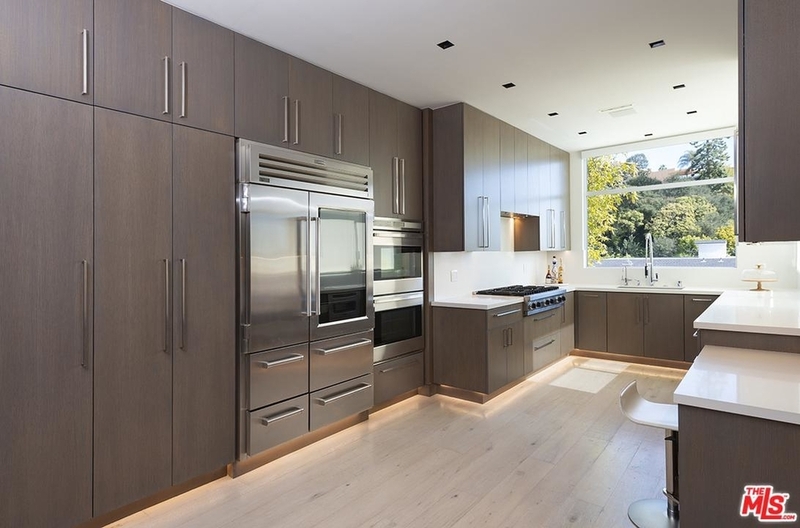 More and more celebrities, like Adam Levine, are buying and selling their million-dollar luxury homes, while others, such as Mandy Moore and JLo, are obsessed with home décor and fixer-uppers. In today’s Celebrity Real Estate, we are going to visit three amazing celebrity homes that are currently on the market. 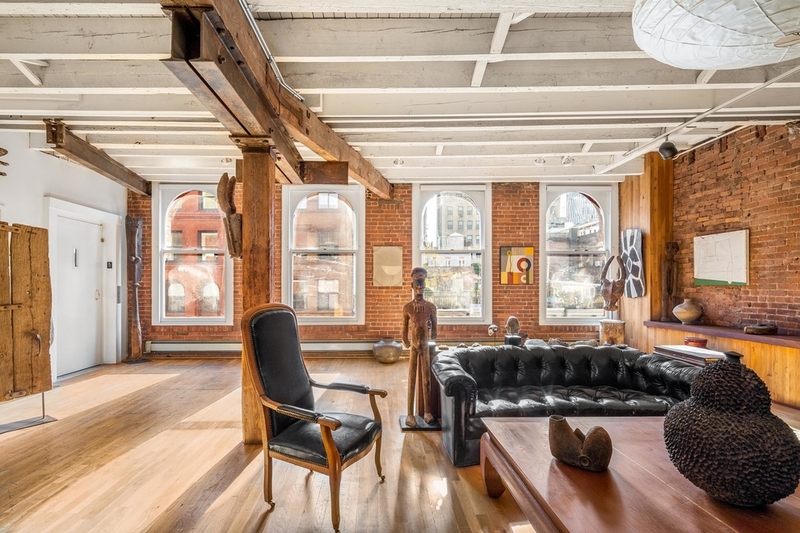 For our theatre-goers and playwrights out there, you will be very excited to learn that the loft at 14 Harrison Street in TriBeCa, New York, is currently for sale. 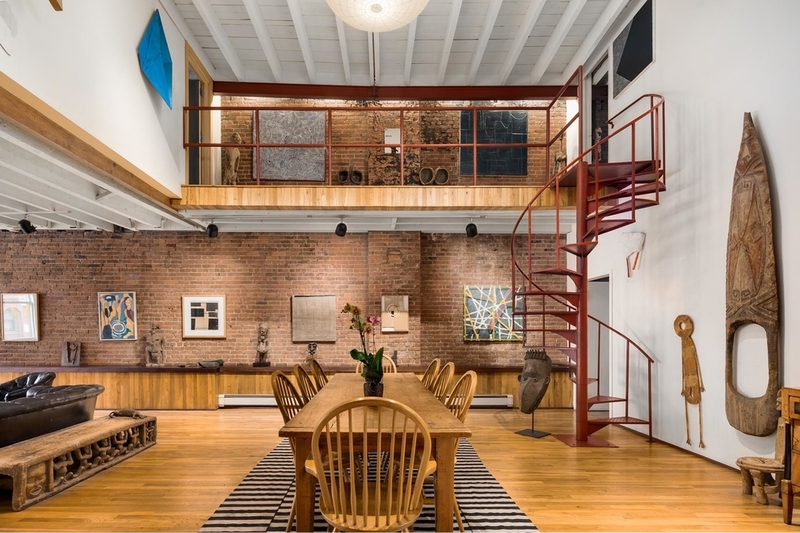 This loft is the estate of the Tony-Award winning playwright, Edward Albee, who was known for Who’s Afraid of Virginia Wolf? and the Sandbox. Albee moved to this loft back in 1977 and kept the property until he passed away in 2016. 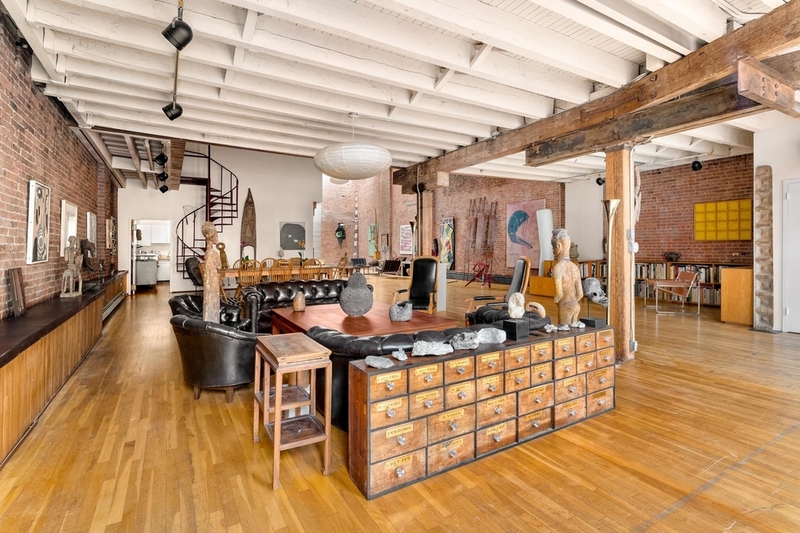 While more and more luxury apartment buildings pop up in TriBeCa, 14 Harrison Street, once a cheese factory, maintains lots of its unique physical characteristics, including traces of its industrial past. With over 4,500 square feet of space, the unit #5/6 occupies the top two floors of the building and can be accessed via a private elevator. 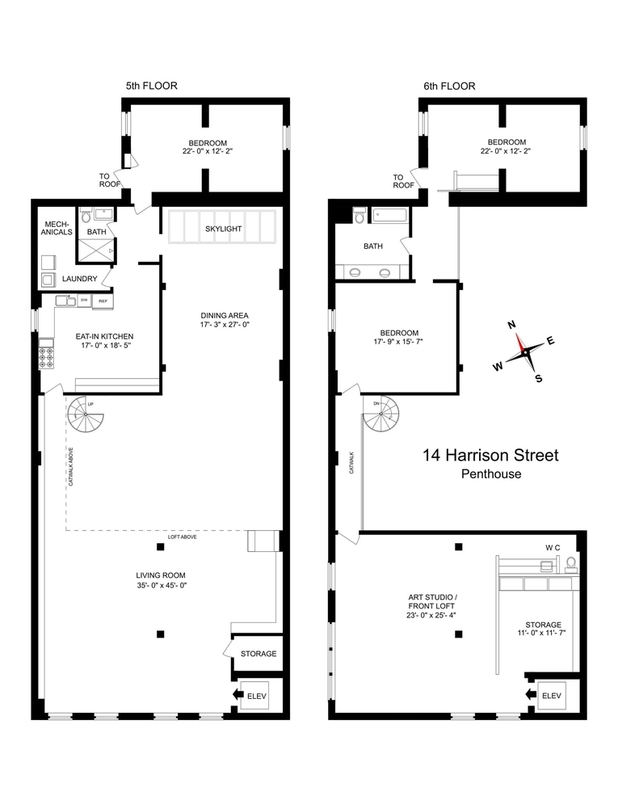 The loft consists of 3 bedrooms, 2.5 bathrooms, a spiral staircase connecting two floors, and an open living space. 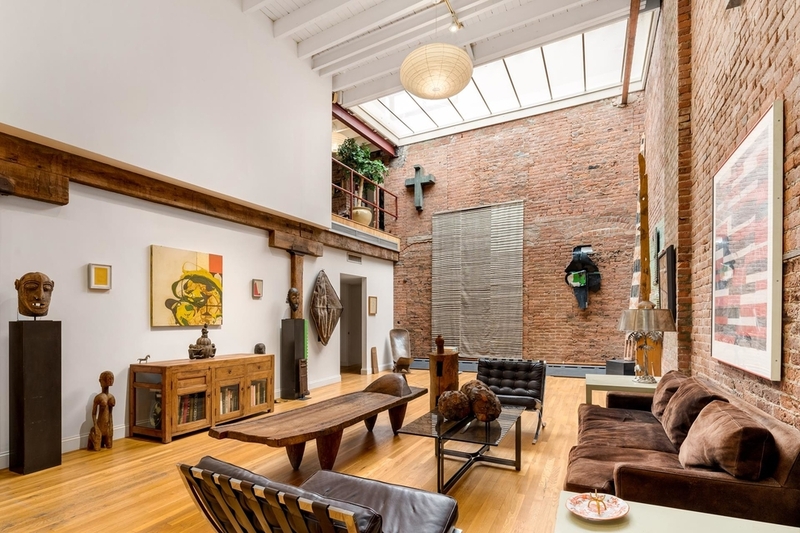 Other features and amenities of this penthouse unit include exposed beam ceilings (both steel and wood), brick walls, ceiling windows with ample sunlight, as well as washer/dryer in unit. The open structure, along with walls of exposed brick, makes the unit more inviting than many of the penthouses that are currently for sale. 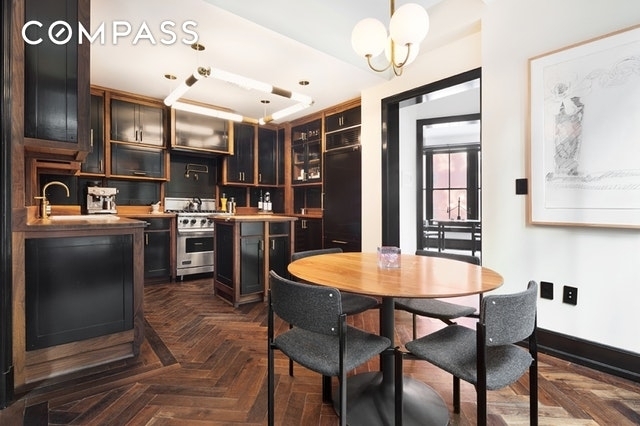 14 Harrison St #5/6 has witnessed the TriBeCa history, from an industrial neighborhood to a luxury, high-end residential community. Coming up, Mel B’s Los Angeles mansion. Built in 1928, the four-story residence spans 5,226 square feet with 4 bedrooms and 6 bathrooms. One thing we love about this house is its contemporary, clean, and modern architectural design. But not only that, volume is the theme throughout this property, as every amenity is delivered on a grand scale. The property comes with a swimming pool, outdoor firepit, entertainment area, and a high-end outdoor grill. Inside the house, you’ll find 20-foot high ceilings, a small but elegant fireplace, automatic shades, home theater, and a chef’s kitchen. While the listing shows that the property was listed 3 weeks ago, that is actually not the first time this mansion went on the market. Mel B and her ex-husband, Belafonte, bought the property in 2014 for $4.34 million. After their divorce, this Bel Air house went on the market in 2017 for $8,995,000, but no one took the bite, and there goes two years. This year, the property came back with a listed price of $5.9 million, 33% lower than the initial asking price. While we don’t know how much longer it’d take for Mel B to spin of this property, one thing we know for sure – after the broker’s commissions, legal fees, etc., the Spice Girls singer will probably not make much by selling this place. 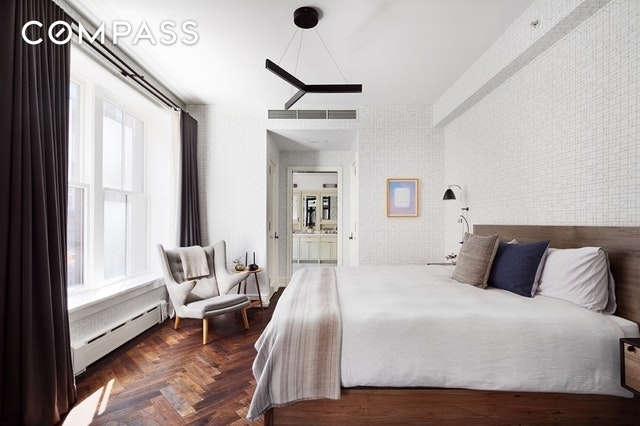 The last apartment we are going to cover today is a beautiful, stylish condo unit in NoLita, New York. 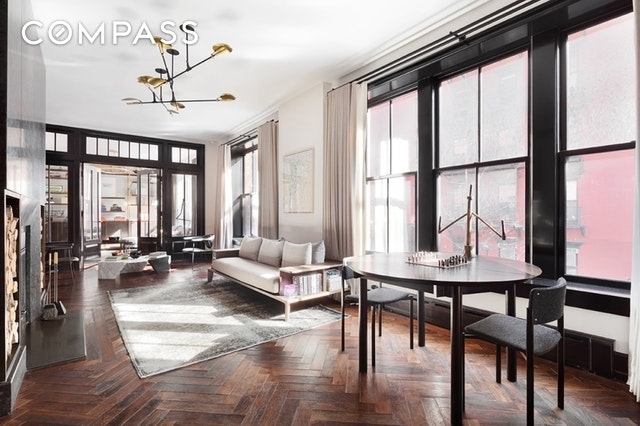 The current owners of this beauty are the newlywed supermodel Karlie Kloss and entrepreneur Joshua Kushner. In case you haven’t been following the news, Josh Kushner is the brother of Jared Kushner, President Donald Trump’s adviser, and son-in-law. But that’s not his only identity, Josh is in fact very active in the startup world and has been founding and investing in companies, such as Oscar Health and Cadre. The couple, after six years of dating, finally got married in October 2018. 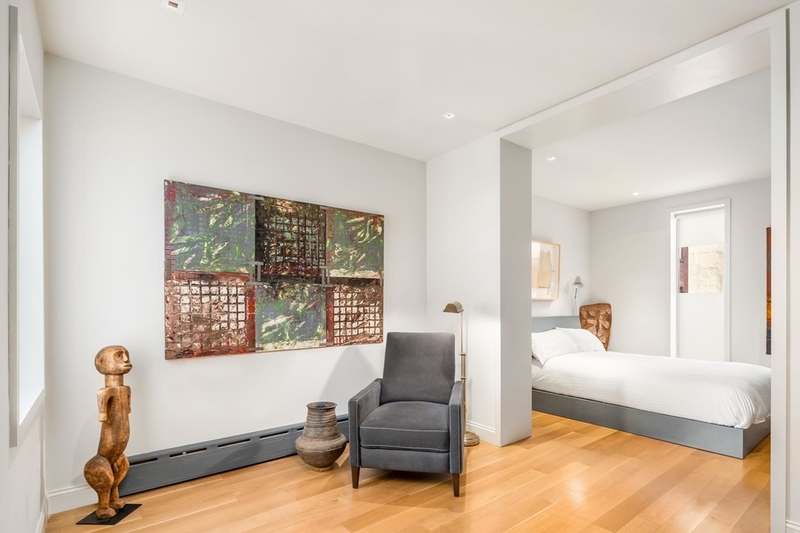 211 Elizabeth Street is one of the most sought-after condos in Downtown New York, and unit #2S in itself is equally breath-taking and stylish. 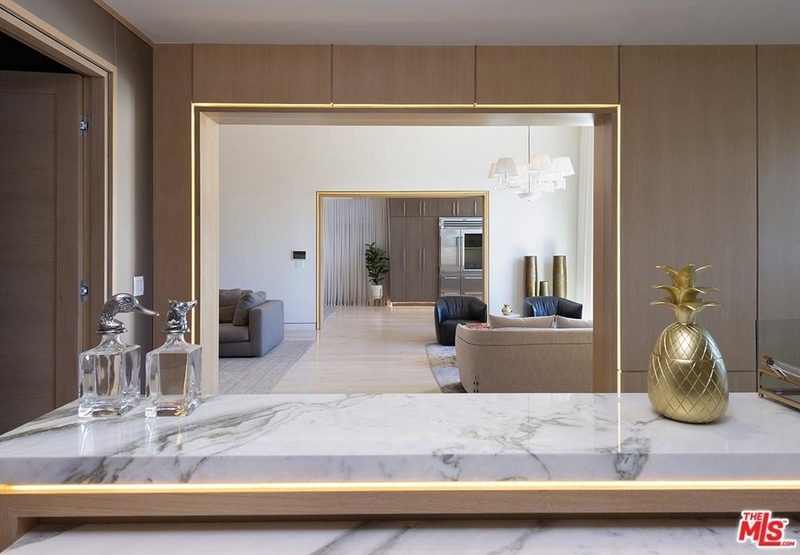 Designed by the celebrated Roman and Williams, this unit comes with 2 bedrooms, 2.5 bathrooms, and a 1,120 SF landscaped terrace. 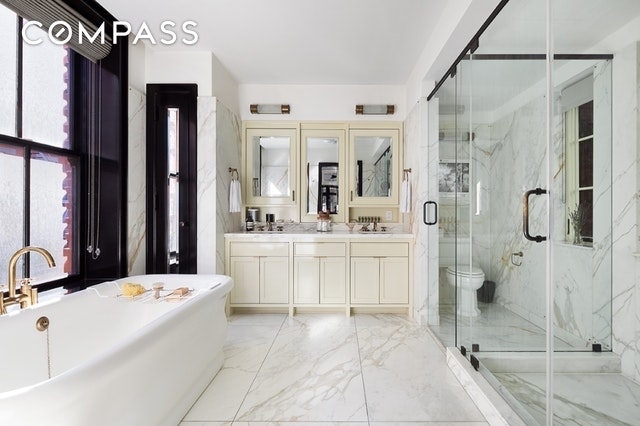 The decorations and interior design reflect the elegance and style of its current owners, with features like French doors, black cabinets, custom flamed granite wood burning fireplace, walnut flooring throughout the living area, and marble flooring in the master bathroom. But hey, we are not done yet. What about the building amenities? 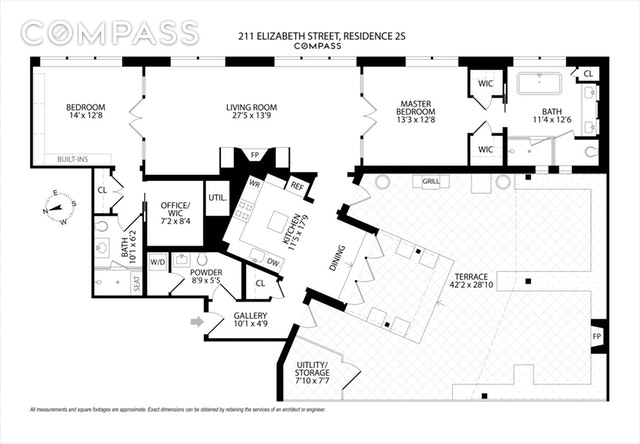 Well, there’s a reason why 211 Elizabeth is one of the top condominiums in the city. In addition to the privacy and convenience it provides, the building also comes with a gym, backroom, and private storage. The architect also preserved its attractive red brick facade which was hand laid by traditional Irish masons.